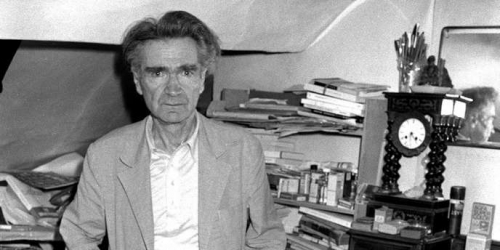 Emil Cioran, De l’inconvénient d’être né (Paris: Gallimard, 1973). Growing up in France, I was never attracted to Emil Cioran’s nihilist and pessimistic aesthetic as a writer. Cioran was sometimes presented to us as unflinchingly realistic, as expressing something very deep and true, but too dark to be comfortable with. I recently had the opportunity to read his De l’inconvénient d’être né (On the Trouble with Being Born) and feel I can say something of the man. The absolutely crucial fact, the elephant in the room, the silently screaming subtext concerning Cioran is that he had been in his youth a far-Right nationalist, penning positive appraisals of Adolf Hitler and a moving ode to the murdered Romanian mystic-fascist leader Cornelius Zelea Codreanu. Cioran had hoped for the “transfiguration” of Romania into a great nation through zeal and sacrifice. Instead, you got utter defeat and Stalinist tyranny and retardation. I’d be depressed too. The dangerous propensity of many intellectuals for ecstatic spasms and mystical revolutions? In Cioran’s case, his Right-wing sentiment appears to have been motivated by 1), 2), 4) 5), and perhaps especially 6). There had been a thriving far-Right French literary and intellectual scene, with writers who often had had both a fascist and pan-European sensibility. The Libération in 1944 put an end to that: Robert Brasillach was executed by the Gaullist government during the Épuration (Purge) despite the protestations of many fellow writers (including André Malraux and Albert Camus), Pierre Drieu La Rochelle committed suicide, and Lucien Rebatet was jailed for seven years and blacklisted. 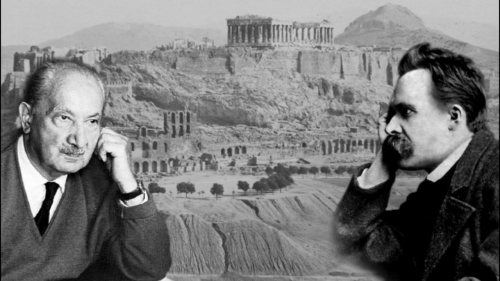 As literally an apatride metic (he would lose his Romanian citizenship in 1946), Cioran, then, did not have much of a choice if he wished to exist a bit in postwar French intellectual life, which went from the fashionable Marxoid Jean-Paul Sartre on the left to the Jewish liberal-conservative Raymond Aron on the right. (I actually would speak highly of Aron’s work on modernity as measured, realistic, and empirical, quite refreshing as far as French writers go. Furthermore he was quite aware of Western decadence and made a convincing case for the culturally-homogeneous nation-state as “the political masterpiece.”) Although Cioran had written several bestsellers in his native Romania, he had to adapt to a French environment or face economic and literary oblivion. What’s an apology secured under coercion actually worth? This is the context in which we must read De l’inconvénient d’être né. These are the obsessive grumblings of a depressed insomniac. (Cioran’s more general mood swings between lyrical ecstasy and doom-and-gloom suggest bipolar disorder.) His aphorisms often ring true, but equally tend to be hyperbolic or exaggerated, and are almost always negative, like a demotivational Nietzsche. In some respects preferable to Nietzsche, insofar as the great explosion the German hysteric foresaw is past us, and his brand of barbaric politics seems quite impossible in this century. Cioran, like Nietzsche and Spengler, knows that nihilism and decadence are the order of the day, but living in the postwar era, he can certainly no longer hope that “blond beasts” or “Caesarism” might still save us. Cioran in this sense is more relatable, he is talking about our world. Cioran despairs at the inevitable mediocrity of human beings and the vain temporality of the human condition. (What’s the point of even a good feeling or event, if this event will, in a second, disappear and only exist in my memory, which will in turn disappear? This will no doubt have occurred to thoughtful, angsty teenagers.) Birth, embodiment, is the first tragedy – like the fall of man – from a perfect non-existence, with limitless potentiality, to a flawed and stunted being. A question: Was Cioran’s despair more motivated by being a Rightist spurned by destiny or by his own dark temperament? Would he have written such works in a triumphant Axis Europe? Cioran is like a Buddha (the spiritual figure most often cited in De l’inconvénient) who stopped halfway, that is to say, at nihilism and despair. But Siddhartha Gautama went further, from the terrifying recognition of our impermanent and insubstantial experiential reality, to a new mental state, reconciled with this reality, to the path of sovereignty and freedom. Had I been able to meet him, I’d have invited Cioran to my Zendō – where speaking, indeed all expression of human stupidity, is formally banned through the most truthful silence. And how good is truth for the soul! The Way of Awakening is not found in books. Actually, Cioran’s Buddhist connection should be dug into. The Zen monk Taisen Deshimaru was in Paris passing on the Dharma to Europe at exactly the same time, in the 1970s. 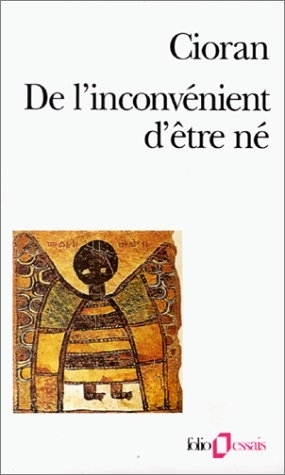 My initial response to De l’inconvénient was annoyance that it had been written (I can quite understand Alain Soral’s frustration with Cioran). The postwar Cioran can certainly seem like an umpteenth authorized manifestation of the ‘glamorously aesthetic’ French décadent intellectual, the misunderstood genius, the starving artist, who is just way ‘too deep’ for his own good or for you plebs to grasp. I remember his 1941 On France, a perversely playful ode to decadent France (those three words together disgust me), as an ostensibly appalling little work. France does not need any more encouragement on the downward path. Cioran certainly has a morbid fascination with spiritual rot. Sorry, krauts, it came anyway through the North-American route! On one level, Cioran’s work is a legitimate expression of the depths of postwar despair. From the psychological point of view, man really was (and is still, despite a few flickers) sinking more and more into untruth, into materialism and consumerism and ‘choice,’ into a childish view of life, one not cognizant of our nature as mortal, social, and unequal beings. All the truths contained in our dying traditions, however imperfect the latter were, are forgotten. Amidst the politically-harmless mass of depressing and demotivational thoughts, Cioran sneaks in some very true observations about decadence. This shows, as plainly as anything, that he remained a man of the Right in his heart. Cioran is putting forth a challenge to be overcome: taste the depths of my despair, truly contemplate and acknowledge the futility of life . . . What is your answer? Cioran’s books: contemplation of the void . . . a summoning. 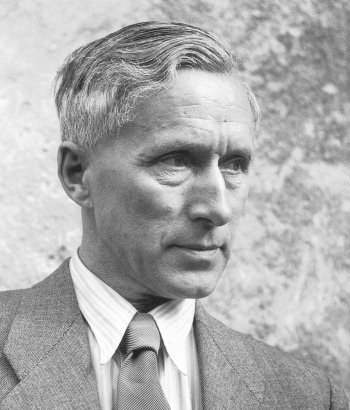 Still, we observe that many men of the Right took a more straightforward route: Maurice Bardèche avenged his brother-in-law Brasillach’s execution by continuing to write in favor of fascism, Julius Evola always stood up for the Axis and for Tradition, Dominique Venner wrote as a historian, Europe’s living memory, and committed his own seppuku, as a sacrifice to the gods . . .
Each man fights in his own way. Again, who am I to judge? Mircea Eliade, The Portugal Journal (Albany, New York: State University of New York Press, 2010), 35. Note: detachment does not mean surrender. For those who do not understand, I recommend the Baghavad Gita, the Hagakure, D. T. Suzuki’s explication of “the Way of the Sword” in Zen and Japanese Culture, or indeed watching the countenance of the faces of men about to strike their opponent in Akira Kurosawa’s classic film Seven Samurai. Chez beaucoup d’écrivains, le nihilisme s’enracine dans le sens de l’immense. Quand on sait combien il y a de milliards d’étoiles, « à quoi bon se laver encore ? », écrit Cioran (Aveux et anathèmes). On ne peut pas prendre le nihilisme de Cioran au premier degré. C’est bien plutôt une excellente psychologie du nihilisme. « Le lot de celui qui s’est trop révolté est de n’avoir plus d’énergie que pour la déception ». 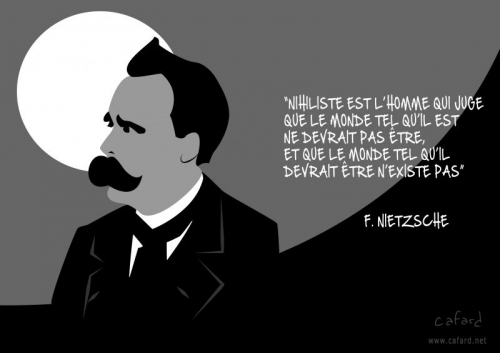 Ce n’est pas là une philosophie nihiliste. Du reste, Cioran était de bonne humeur. « Je vis parce que les montagnes ne savent pas rire, ni les vers de terre chanter », écrit-il dans son premier livre (Sur les cimes du désespoir). C’est, ainsi, dire que le propre de l’homme est de rire et chanter. 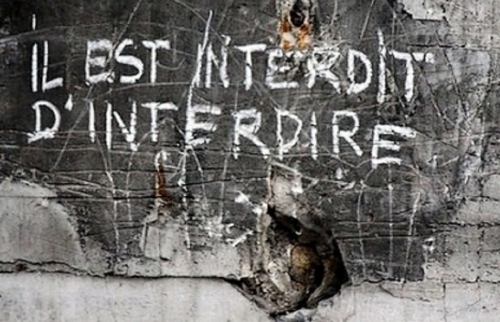 Ce n’est pas rien. Cioran est un faux nihiliste. Cioran le sait et il le dit : pour vivre, il faut être un peu « barbare », c’est-à-dire qu’il faut ne pas s’interroger tout le temps et sur tout. Il faut mettre entre parenthèses le doute pour vivre. C’est le contraire de la position de Descartes qui pensait qu’il fallait mettre entre parenthèses les évidences naturelles pour trouver ce qui résiste au doute. Si on cherche ce qui résiste au doute, on ne trouve rien, et certainement pas Dieu ni le cogito. Le doute, c’est ce qui dévitalise les civilisations. C’est ce qui prépare leur ruine. Pour vivre, individuellement et collectivement, il faut ne pas douter de tout. Il faut appliquer à nous-mêmes un régime mental de despotisme éclairé, consistant à avoir des croyances, fussent-elles absurdes (et elles le sont). 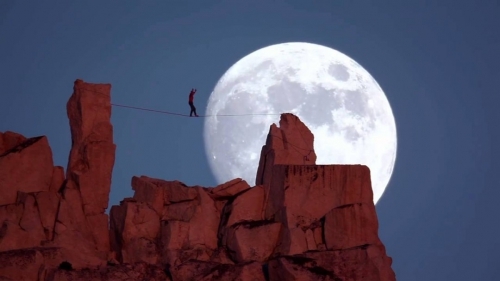 L’horizon de ce despotisme ne peut être qu’une forme, un style. Le fond nous échappe, et il nous échappera toujours. « Restent cependant les apparences, pourquoi ne pas les hausser au niveau d’un style ? C’est là définir toute époque intelligente », explique Cioran (Précis de décomposition). 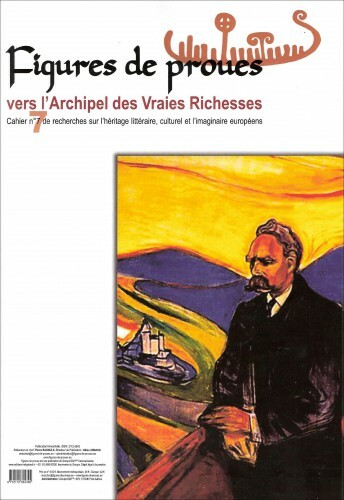 À la manière de Nietzsche, Cioran défend l’idée que la façon dont les choses apparaissent, se manifestent, se montrent comme phénomène, est plus importante que ce qu’elles sont vraiment (à supposer qu’on puisse le savoir), le noumène (les choses telles qu’elles sont en elles-mêmes et que nous ne pouvons connaître car, dit Kant, nous sommes limités par notre subjectivité). 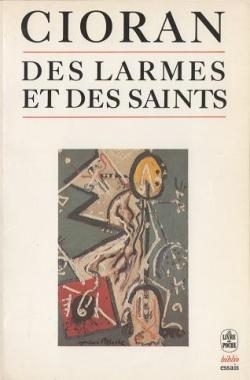 L’esthétisme de Cioran, c’est-à-dire la recherche d’une allure (qui est bien autre chose qu’un dandysme), est la seule façon de sortir du nihilisme par une autre voie que le cynisme et le relativisme. Heidegger’s central philosophical topic has a number of names: the sense (Sinn) or meaning of Being, the truth (Wahrheit) of Being, the clearing (Lichtung) of Being, the “It” that “gives” Being, and the “Ereignis” (“event” or “appropriation”) of Being, referring to the mutual belonging of man and Being. All of these words refer to that-which-gives and that-which-takes-away different “epochs” in the history of Being, which are comprehensive, pervasive, and fundamental ways of interpreting the world and our place in it. 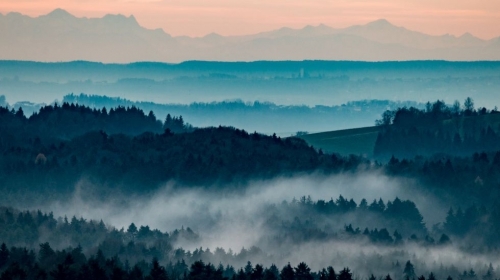 Heidegger’s topic is shrouded in mystery, for that-which-gives each epoch in the history of Being is hidden by the very epoch that it makes possible. This mystery is built right into the dual meanings of Heidegger’s names for his topic. The word “Lichtung” refers both to Being (that which lights up beings) and also to the clearing that makes it possible for the light to illuminate beings—and the light attracts our attention to itself while leaving the clearing that makes it possible in darkness. The “it” that gives Being is hidden behind Being, its gift. Ereignis is the mutual belonging of man and Being, in which man in enthralled by the world opened up by the event and thus oblivious to the event itself. Heidegger even hears the mystery of Being in the word “epoch,” which refers both to the historical spans of particular dominant ways of interpreting the world, and, when heard in the Greek as “epoche,” refers to the withholding of that which grants the epochs, the giver that hides behind its gift. 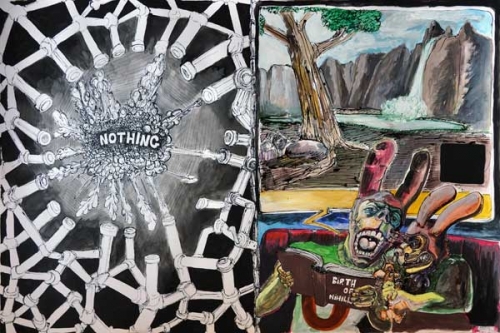 Now we are in the position to begin to think through the connection that Heidegger draws between metaphysics and nihilism. Heidegger’s thesis is that nihilism is the consummation of Western metaphysics. To this end, I wish to comment on one of my favorite texts by Heidegger, the two lectures entitled “The Eternal Recurrence of the Same and the Will to Power.” These lectures beautifully epitomize Heidegger’s vast two-volume work on Nietzsche, and they gather together and display the unity of themes discussed by Heidegger over a period of more than 50 years. Heidegger’s thesis is that “Nietzsche’s philosophy is the consummation of Western metaphysics.” For Heidegger, Nietzsche’s philosophy represents the epitome of modern nihilism, the ultimate manifestation of the nihilistic impulse built into Western metaphysics from the very beginning. Heidegger’s thesis that Nietzsche is the last metaphysician of the West is a stunning thesis, a thesis very difficult to defend, for Nietzsche is widely regarded as the first post-metaphysical thinker, not the last and ultimate metaphysical thinker. Traditional metaphysics is constructed around the dualisms of permanence and change and of appearance and reality. The permanent is identified with Being, which is said to be a reality that lies beyond the world of appearances, the world of change, the realm of becoming. Nietzsche seems to overcome these dualisms by collapsing the distinctions between permanence and change, appearance and reality, Being and becoming. Therefore, Nietzsche seems to go beyond metaphysics. How, then, does Heidegger establish Nietzsche as the last metaphysician of the West? Another way of putting this question is: How does Heidegger establish that Nietzsche’s attempt to overcome metaphysics is a failure? What does Heidegger think that a genuine overcoming of metaphysics requires? When Heidegger uses the word “metaphysics” pejoratively, he refers to the metaphysics of presence: “These positions take the Being of beings as having been determined in the sense of permanence of presence” (p. 162). Another word for the metaphysics of presence in the Heidegger lexicon is “Platonism.” Platonism is a view that cannot necessarily be identified with Plato’s own views. Platonism, rather, is the pervasive interpretation of Plato’s views in the tradition. Platonism identifies Being with permanence as opposed to change, presence as opposed to absence, identity as opposed to difference. The latter terms of these pairs—change, absence, difference—are identified with non-being. In the world around us, rest and motion, presence and absence, identity and difference are all mixed together. Thus the Platonist concludes that this world is not the true world; it is not the realm of Being, but the realm of becoming, which is a mere blurred image or decayed manifestation of Being. Becoming is merely a veil of appearances which cloaks and hides that which is real, namely Being. Forms or essences, unlike individuals, do not come into being; they do not change; and they do not pass away. 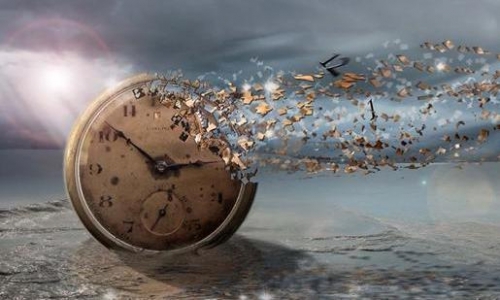 While particulars that become exist in time, forms of essences exist outside of time in eternity. Because particulars in time are infected with change, absence and difference, we cannot have certain knowledge of them; at best, we can have only tentative opinions about things in the world around us. We can have certain knowledge only of the forms or essences that make up the realm of Being. Heidegger holds that the metaphysics of presence—the interpretation of Being as presence—and also the Platonic distinction between the world of Being and the world of becoming is retained in Nietzsche’s allegedly post-metaphysical doctrines of the Will to Power and the Eternal Recurrence of the Same. What is the Will to Power? And what is the Eternal Recurrence of the Same? Nietzsche called the ultimate constituent of the world Will to Power. This is a highly anthropomorphized name for something that is neither a will (for there is no agent behind it that wills); nor is it “to power” (for it is not directed toward the goal of power, or any other goal). Will to Power is Nietzsche’s name for chaos, which he conceived of as a virtual infinity of points of force charging and discharging entirely without pattern or purpose. Heidegger defines the “Will to Power” as “the essence of power itself. It consists in power’s overpowering, that is, its self-enhancement to the highest possible degree” (p. 163). The Will to Power is the constant exercise of power as an end in itself. The Will to Power makes possible the constant exercise of power by positing limits for itself and then exceeding them; Will to Power first freezes itself into particular forms and then overcomes and dissolves them. The Will to Power is Nietzsche’s account of what the world is. The Eternal Recurrence of the Same is a concept derived from the ancient Epicureans and Stoics. Both the Stoics and Epicureans believed that the cosmos is finite. The cosmos consists of matter and void, and there is only so much matter and so much void. Matter, however, is not fully inert. Matter has both inert and animate dimensions. Matter has the tendency to remain at rest or in motion, which the Epicureans represented by matter falling through the void. But matter also has a non-inert aspect that causes it to swerve from its fall or to move from rest to motion by its own power. The Epicureans represented this aspect of matter as the famous “clinamen” or “swerve” of the atoms. The Stoics represented this as divine logos, which following Heraclitus, they represented as fire. Matter, in short, is in some sense vital and animate; it is alive and ensouled. Matter’s vital principle allows order to form out of chaos. Matter’s inert dimension allows order to dissolve back into chaos. 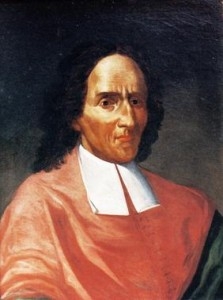 Given a finite amount of matter and a finite void, given that matter has both a tendency to give rise to order and dissolve order, and given that time is infinite, the Epicureans and Stoics argued that the random play of chaos within a finite cosmos over an infinite amount of time not only gives rise to order, but gives rise to the same order an infinite number of times. Everything that is happening now has already happened an infinite number of times before and will happen an infinite number of times in the future. The Same events will Recur Eternally, hence the Eternal Recurrence of the Same. As Woody Allen once put it, “Eternal Recurrence of the Same. Does that mean I’ll have to sit through the Ice Capades again?” And the answer is: “Yes.” Not only will he have to sit through it again an infinite number of times, he already has sat through it an infinite number of times. It’s deja-vu all over again. Nietzsche takes this argument over completely. The Will to Power corresponds precisely to the two aspects of matter discussed by the Epicureans and Stoics. The animate aspect of matter that gives rise to form and organization corresponds to the Will to Power’s tendency to posit order. The inert aspect of matter that causes form and organization to dissolve back into chaos corresponds to the Will to Power’s tendency to overpower and dissolve the very order that it posits. Nietzsche holds that the Will to Power is finite and that time is infinite. Given the possibility of endlessly rearranging a finite Will to Power over an infinite amount of time, the same kinds of order will inevitably repeat themselves, and they will repeat themselves and infinite number of times: Eternal Recurrence of the Same. 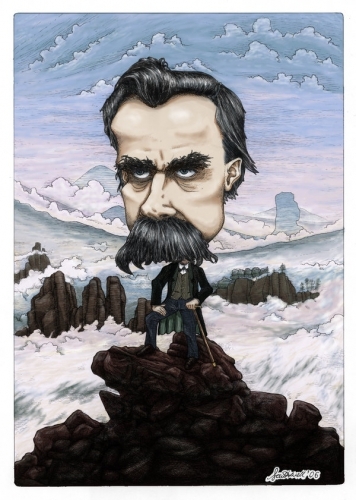 Just as Will to Power is Nietzsche’s account of what the world is, The Eternal Recurrence of the Same is Nietzsche’s account of how the world is. Nietzsche claims to have abolished metaphysics because he abolishes the dualism between appearance and reality, Being and becoming, presence and absence, identity and difference, etc. All of these pairs of opposites are found blended together in the Will to Power and the Eternal Recurrence of the Same. There is no realm of pure presence, pristine identity, total rest, and separate essences, lying behind the world that appears to us. Heidegger’s critique of this claim is twofold. First, he argues that the basic elements of Platonism are still at work in Nietzsche. 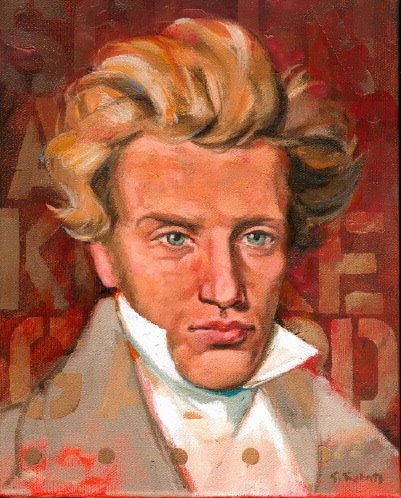 Second, he argues that Nietzsche really does not understand what it would take to overcome metaphysics. How is Nietzsche a Metaphysician? Will to Power and the Eternal Recurrence of the Same, in short, think Being in terms of presence too, by making becoming itself permanent, by making becoming recapitulate the identical, by making the motion of becoming circular, thus bringing a kind of eternity into time itself. Heidegger claims that this distinction is “co-extensive” with the basic distinction that defines and sustains metaphysics. “What-being” or “whatness” refers to the identity of beings. 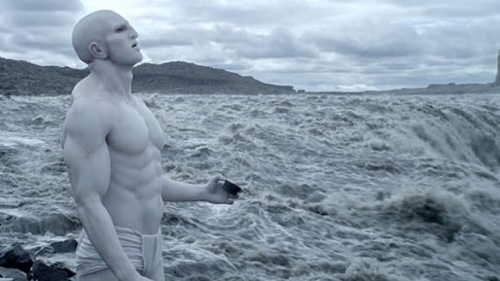 “What-being” or “thatness” refers to the existence of beings. To talk about the identity of a thing is to talk about what it is in contrast to the identity of different things, the things that it is not. When we talk about the existence of something, we are talking about the fact that it is, as opposed to the idea of its non-existence. Now, in Platonism, the identity of a particular being is endowed by its form. A particular dog has its identity as a dog because it is related to the Form of dog, or “dogness.” A particular man has his identity as a man because he is related somehow to the essence of man, or “manhood.” A particular dog has his existence as a concrete individual dog because a bit of the material world has been informed by the essence of dog. So, for Platonism, the identity or whatness of a particular being is explained by its essence and its individual existence or thatness is explained by its materiality. Heidegger holds that this Platonic distinction is present in the distinction between the Will to Power and the Eternal Recurrence of the Same. Will to Power names the whatness or identity of all beings. Therefore, it corresponds to the Platonic form. Eternal Recurrence names the thatness or existence of beings. Therefore, it corresponds to the instantiation of the Platonic Form in a bit of the spatio-temporal world. Will to Power is the principle of identity. Eternal Recurrence is the principle of existence. This dualism, Heidegger claims, is not overcome by Nietzsche, so Nietzsche does not overcome metaphysics. Indeed, Heidegger claims that Nietzsche represents the culmination of metaphysics. To understand this, we must understand how, precisely, Nietzsche fails to overcome metaphysics. And to understand this, we need to know what Heidegger thinks a genuine overcoming of metaphysics would require. What Constitutes a True Overcoming of Metaphysics? What this unleashing of power to its essence is [i.e., that which grants the interpretation of Being as Will to Power], Nietzsche is unable to think. Nor can any metaphysics think it, inasmuch as metaphysics cannot put the matter [die Sache, the topic] into question. This “selfsame” [Being interpreted as Eternal Recurrence] is separated as by an abyss from the singularity of the unrepeatable enjoining of all that coheres. Out of that enjoining alone does the difference commence. Here Heidegger contrasts Nietzsche’s metaphysics of history (which encloses becoming in the circle of Being through the idea of the eternal recurrence of the same) with his own view of the history of Being as a sequence of unrepeatable contingent singularities in which new epochs in the history of Being displace one another. 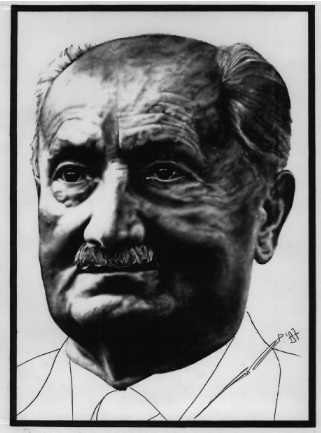 One can ask, however, if Heidegger himself does not ultimately subscribe to a kind of cyclical history, since he seems to believe that (1) the pre-Socratic Greek sense of Being as the dynamic interplay of presence and absence is correct, even though it overlooked the conditions of its own emergence, and (2) that it is possible to return to this correct interpretation of Being, either (a) reflectively, with an appreciation of its importance in the light of the subsequent tradition, or (b) naively, though the liquidation of the present civilization and a return to barbarism, which may be the meaning of Heidegger’s famous claim that “only a god can save us now,” meaning a return to naive belief. Thought concerning truth, in the sense of the essence of aletheia, whose essential advent sustains Being and allows it to be sheltered in its belonging to the commencement, is more remote than ever in this last projection of beingness. Here aletheia refers to that which both grants a new epoch in the history of Being and shelters its advent in mystery. There is also an extensive discussion of the topic from the bottom of page 166 throughout the entirety of page 167. Inadequate interrogation of the meaning of Nietzsche’s doctrine of Return, when viewed in terms of the history of metaphysics, shunts aside the most intrinsic need that is exhibited in the history of Western thought [i.e., the need to think that which grant metaphysics]. It thus confirms, by assisting those machinations that are oblivious to Being, the utter abandonment of Being. It is at this point that we can understand why Heidegger thinks that Nietzsche is not only a metaphysician, but the culmination of metaphysics. Metaphysics thinks the Being of beings, but does not think the meaning of Being, the clearing of Being, etc. Nietzsche is the culmination of metaphysics because Nietzsche’s metaphysics not only fails to think that which grants Being, but actually makes this altogether impossible because it fosters the illusion that metaphysics has been finally overcome. A further reason for regarding Nietzsche as the culmination of metaphysics can be appreciated by examining Heidegger’s definition of nihilism. 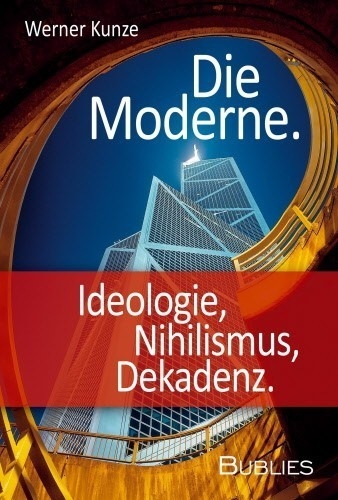 Heidegger defines the modern technological age, the age of nihilism as “the age of consummate meaninglessness” (p. 174). Consummate meaninglessness is equivalent to the interpretation of Being in terms of man’s own subjective needs: Being as certainty; Being as intelligibility; Being as availability and deployability for human purposes. The world is meaningless because wherever we look, we only encounter projections of our own overweening subjectivity and will to power. The essence of modernity is the idea that everything can be understood and controlled. This view of the world is made possible by our failure to think about what grants it, what makes it possible, the source of this epoch in the history of Being. Heidegger claims that we cannot understand the origin of the idea that we can understand everything. We cannot control the emergence of the idea that we can control everything. Trying to understand the origins of nihilism forces us to recognize that there is a mystery that cannot be explained or controlled. And this encounter with mystery is alone sufficient to break the spell that everything can be understood and controlled. It is thus a real overcoming of metaphysics and of its culmination in the nihilism of technological modernity. 2. Martin Heidegger, Nietzsche, vol. III: The Will to Power as Knowledge and as Metaphysics, ed. David Farrell Krell, trans. Joan Stambaugh, David Farrell Krell, and Frank A. Capuzzi (New York: Harper and Row, 1987), p. 161. 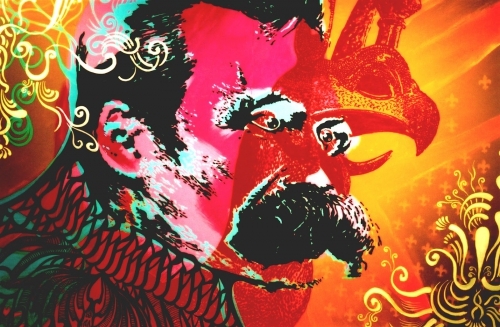 For Nietzsche, nihilism results when the core values of a culture cease being believed. 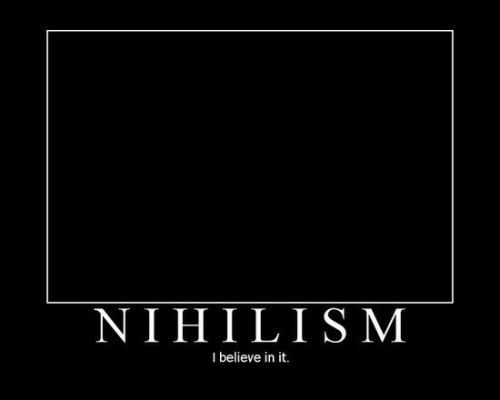 There are two types of nihilism: passive and active. The passive nihilist deeply identifies with the core values of his civilization. Thus be experiences their loss as demoralizing and devitalizing. The active nihilist primarily experienced the reigning values as impediments to the freedom of his desires and imagination. Therefore, he experiences their downfall as liberating. For Nietzsche, the age of nihilism will be terminated by a particular kind of active nihilism: setting up and imposing new core values for a new civilization. Jünger on Technology and the Death of Values. While the ancients experienced nature as a fixed an eternal order founding and bounding the realm of human action, moderns experience nature as simply a pile of resources that are, in principle, infinitely transparent to human knowledge and infinitely malleable to human ends. From the technological point of view, there are no fixed boundaries to human action; there are only temporary impediments that will eventually yield, in time, to better science and better technology. Le néo-nihilisme, nouveau mal français: quelles réponses? Les Français sont abrutis par la propagande médiatique. Celle-ci véhicule un néo-nihilisme ahurissant. Ce néo-nihilisme repose sur une négation des réalités. Négation des origines et de leur importance. Négation du Grand Remplacement de populations. Négation de l’existence même d’un peuple français historique. Négation de l’échec de tout processus d’assimilation des immigrés venus de loin. Négation de l’islamisation de la société et des mœurs. Négation de l’échec de la « conception citoyenne de la nation » devenue simple paravent du communautarisme. Ce néo-nihilisme nie aussi les réalités anthropologiques. Il prétend déconstruire les différences de sexe. Tout en promouvant un « homosexualisme » militant, négateur du mariage et des liens de filiation. Sa vision est celle de l’immédiateté, du grand carnaval de l’Homo festivus et de la Gay Pride. Promu par les médias de l’oligarchie, ce néo-nihilisme est devenu l’idéologie dominante de la classe politique. Par connivence d’abord : journalistes et politiques déjeunent ensemble, voyagent ensemble, dînent ensemble… et plus si affinités. Par désir mimétique aussi : pour un politique, la recette pour se faire inviter à la télévision, c’est de tenir un discours média-compatible. Résultat : ceux qui devraient donner du sens se rallient – peu ou prou – au néo-nihilisme de l’État-spectacle et de l’Homo festivus. D’où le discrédit des partis politiques : Front de gauche, écolos, PS, UMP. À force de rechercher la dédiabolisation/banalisation, c’est le Front national lui-même qui pourrait perdre le crédit de sa différence. Or, suivre le vent n’est rien d’autre qu’« une ambition de feuille morte ». Face à cette verticale du pouvoir médias/politiques, les réactions viennent des profondeurs du peuple. D’où l’ampleur des manifestations sociétales : de la Manif pour tous, du Printemps français, des Bonnets rouges et peut-être demain d’un PEGIDA (les mouvements anti-islamisation en Allemagne) à la française. Les réactions viennent aussi des intellectuels. D’hommes et de femmes qui savent qu’ils ont le « devoir de vérité ». D’hommes et de femmes qui osent penser la radicalité : des essayistes comme Éric Zemmour ou Hervé Juvin, des écrivains comme Renaud Camus ou Richard Millet, des artistes ou critiques d’art comme Aude de Kerros, des esprits indépendants comme Robert Ménard ou Béatrice Bourges. À eux de donner du sens. À eux de rappeler que la patrie (la terre des pères) n’a de sens que si elle porte une identité charnelle et civilisationnelle. À eux de rappeler qu’il n’y a pas de communauté nationale sans réalité substantielle, croyances communes, valeurs morales et sociales partagées et leur hiérarchie. À eux de rappeler qu’il y a des permanences anthropologiques et culturelles à respecter. À eux de rappeler que la souveraineté n’a de sens que si elle est enracinée. Le renouveau ne passera pas par les structures anciennes tributaires des conformismes. Il viendra de la mise en forme par les intellectuels dissidents des aspirations profondes du peuple. Il sera possible grâce au contournement des médias par Internet et les réseaux sociaux. Nous vous signalons la parution du septième numéro (Hiver 2014) de la belle revue Figures de proues, dirigée par Pierre Bagnuls. On y découvrira des textes choisis et une foule de citations sur le thème de l'Europe et du nihilisme européen, agrémentés par de superbes illustrations en couleurs. Du beau travail ! Meine Generation dankt langsam ab. Sie hat ihren Part gespielt, ihre Aufgabe an der Geschichte vollzogen. Hedonisten ohne Plan, die der großen Symbolzertrümmerung den nötigen Schub gaben, damit alles über die Kante fiel. Es war wohl nötig. Die Kinder der „Generation Kohl“, welche ihre Lektion aus der „geistig-moralischen Wende“ gezogen hatten. Das es nämlich keine Geistigkeit und keine Moral gebe und auch keine Wende, sondern nur einen sinnlosen Trott, dem der Mensch folgt. Wir waren eine materialistische, eine nihilistische Generation. Das Produkt und die Gegenwart waren uns alles, denn alles war im Überfluss vorhanden. Der Westen war Trumpf im drögen Spiel, es galt nur zu kollaborieren und zufrieden zu verwesen. Alles gemacht. Heute ist nichts mehr im Überfluss vorhanden. Das Wort Freizeit, vorher noch Gebot der Stunde, hat einen schalen Klang bekommen, sogar einen leicht despektierlichen. Von meinen Bekannten und Freunden gleichen Alters sind ungefähr ein Viertel durch Suizid abgetreten, ein großer Teil hat immerhin hart dorthin gearbeitet. Der Rest wurde eskapistisch oder verschwand in ominösen Berufen fernab der Gegenwart. 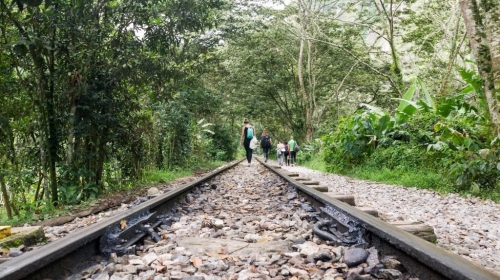 Eine ganze Generation auf dem Rückzug, in Auflösung begriffen wie eine geschlagene Armee. Was wir der Jugend kurz hinter uns lassen, ist ein zweifelhaftes Geschenk: Das früher alles besser, alles leichter war. Das der beste Teil gelaufen sei und man nicht mehr so einfach durchs Leben komme. Das es nun mühevoll sei. Doch keine Party. Ich stehe hier ein bisschen zwischen den Stühlen. Ich war nicht richtig meiner Generation angeschlossen, aber ich teilte wohl doch mehr Punkte mit ihr, als mir lieb ist. Freilich lehnte ich den Hedonismus ab. Meine Exzesse hatten immer etwas Verbissenes an sich, zeugten von einer durchaus masochistischen Neigung; sich mit Lust selbst zu zerstörten, weil man keinen Sinn kannte und keine Autorität akzeptierte. Es war der Schrei, der ein Echo verlangte: Gewaltig, versessen und ohne ein Gefühl von Verantwortung. Pure gegenwärtige Energie. Ein Kraftakt gegen sich selbst und die verlornen Ordnungen. Ein Verlangen nach elementarer Antwort im Ausdruck absoluter Katastrophe. Schön und dumm – wie die Jugend eben ist. Ich vermisse sie nicht. Heute ist aber eine Generation schneidiger Erneuerer angetreten und hebt sich – scheinbar wie Phoenix aus der Asche – aus den Ruinen einer ruinierten Gesellschaft. Den kaputten Kollektiven wird da mit einem trotzigen Ordnungswahn entgegengegangen, der jeder Beschreibung spottet. Man ist bereit einen Unterschied zu machen und betet einen Katalog an Forderungen und an Leistungswille hinunter: Der Mensch muss arbeiten, er muss glauben, er muss bereit sein sich zu fügen im Großen, in seinem Umfang aber die irre gewordene Welt zur Ordnung rufen. Lauter selbst ernannte Kreuzritter, die den Katalog der Sekundärtugenden ebenso aufsagen können wie Stellen aus der Bibel. Man hißt alte Symbole: Das Kreuz Christi, die Fahne der BRD, die Fahne Preußens, man hat das „Buch der Bücher“ am Nachttisch und übt sich in früher Monogamie (so gut es geht...). Ausgezogen, aufgezogen den Weltenlauf gerade zu rücken. Konservative Revolution mit dem Ruf nach Autorität; dem Anspruch darauf? Alles Mumpitz. Was regiert ist das „Prinzip Lovecraft“. Gestorben ist der seltsame, bittere Mann im Jahre 1937 mit gerade mal 46 Jahren. Gelebt hat er nicht, aber viel geschrieben. Eine Ehe geführt, welche wie ein peinlicher Zufall wirkt. Die Migrantenströme im New York der 20er-Jahre besehen und für rassischen Dreck befunden. Zurückgeflohen in die nicht vorhandene Idylle der Provinz, wo er sich vor dem Leben versteckte und von der Epoche abkapselte, die er so sehr hasste. Bis er endlich unter den qualvollen Schmerzen des in ihm wuchernden Krebses verstarb und damit seiner puritanischen Meinung scheinbar nachdrücklich Gewicht gab, dass der Körper, das Fleisch widerlich seien. Was da nach den ruinösen Resten meiner Generation verglühend vergangenen Träumen hinterherjagt, ist keine Konservative Revolution, denn das bedürfte eines offensiven Gestus, eines aggressiven Optimismus mit Sendungsbewusstsein. Das ist nicht vorhanden, sondern der Wille zur erzwungenen Ordnung im beschränkten Kreis des eigenen Selbst. Es ist kein Aufstand, sondern ein Angstruf gegenüber einer Zeit, die man nicht versteht und nicht kontrollieren kann. Was man vertritt, ist Ruhe und Ordnung beim Tanz auf dem Vulkan. Pardon. Natürlich beim Gleichschritt hin zum Krater. Man verlangt sich selbst und andere zur Ordnung zu rufen, weil man das Chaos als unerträglich empfindet und die Zeit als Barbarei. Man huldigt der Xenonphobie. Europa als bedrängte Welt und Deutschland als Schlachtfeld zerfallender Kultur, die man quasi im Wohnzimmer konservieren muss. Reformieren: Ja. Revoltieren: Nein. Das Alte soll bewahrt werden. So schön ist die BRD, wenn nur nicht so viele Idioten und Türken da wären. Sehnsucht nach dem „Eisernen Besen“ in der Stille der musealen Eigentumswohnung. Ruhe muss gewahrt werden durch die leise Reform abseits vom Leben. Sich selbst zügeln, damit man andere hoffentlich zügelt. Und hoffen, dass der große Umbruch an einem selbst noch einmal vorbeizieht. Denn eigentlich will man nur in Ruhe und Frieden leben. Ähnlich wie in einem Altersheim. Niemals aufgeschreckt durch Veränderung oder vitale Energieentladung. Das ist kein Konservatismus, das ist ein konservierter Raum, bestückt mit Symbolen und Werten, die man Marken gleich übernommen hat. Es wird eine Scheinwelt konstruiert mittels derer man sich auf der Flucht vor dem Leben befindet. In diesen Raum hinein soll dann die Saat geworfen werden: Die Familienplanung als Keimzelle zur Rettung bedrohter Ordnung. Lächerlich. Versponnen. Feige. Wie Lovecraft ist diese Generation nicht wirklich konservativ, sondern im Kern nihilistisch. Sie erkennt die Macht der Sinnlosigkeit absolut an und setzt dieser ein Gemälde entgegen, gegenständlich im Ausdruck. Bitte nicht berühren, nicht interpretieren. Bewegungslosigkeit als Kraftprobe. Jesus als Pantomime. Disziplin im Stilstand. Preußen als ewiger Haltbefehl – auf dem Friedhof. Wie Lovecraft auch, so hat diese Generation etwas nekrophilies an sich. Ghule, die sich an der deutschen und europäischen Geschichte vergreifen und das faulige Fleisch von den alten Knochen ziehen. Schamlos. Peinlich. Neurotisch. Deshalb reagieren sie auch aufgeschreckt und verlegen, wenn man ihre Grabschändungen ans Licht zerrt. Sie kümmert die Geschichte nicht, weil sie das Leben und die Menschen lieben, sondern weil sie nach Ausreden suchen, um sich an der Historie zu vergreifen um der Gegenwart zu entgehen. Selbst für einen rauschhaften Totentanz sind sie noch zu träge, darin den leichenfressenden Guhlen, die nicht umsonst die niedrigsten Kreaturen der Nacht darstellen, gleich. Kein deutscher Furor, kein römischer Stoizismus. Nicht Pracht, nicht Herrlichkeit von geistiger Aristokratie. Nur morbide Gärgase einer Bewegung auf mikroskopischer Ebene. Die Generation Lovecraft. Lovecraft starb am Ende aus Scham ob der eigenen Lebensunfähigkeit. 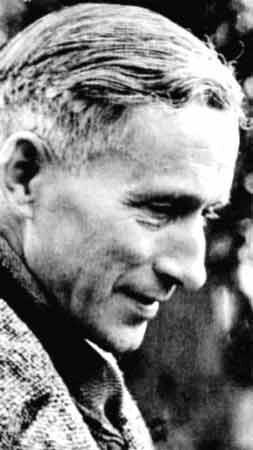 Ernst Jünger (1895-1998), autor de diarios claves sobre lo que se llamó la estética del horror, así como de un importante ensayo -El Trabajador- acerca de la cultura de la técnica moderna y sus repercusiones, está considerado, incluso por sus críticos más acerbos, como un gran estilista del idioma alemán, al que algunos incluso ponen a la altura de los grandes clásicos de la literatura germánica. Fue el último sobreviviente de una generación de intelectuales heredada de la obra de Oswald Spengler, Martin Heidegger, Carl Schmitt y Gottfried Benn. Apasionado polemista, nunca estuvo ajeno de la controversia política e ideológica de su patria; iconoclasta paradójico, enemigo del eufemismo, "anarquista reaccionario" en sus propias palabras, abominador de las dictaduras (fue expulsado del ejército alemán en 1944 después del fracaso del movimiento antihitlerista) y las democracias (dictaduras de la mayoría, como las llamó Karl Kraus, líder espiritual del círculo de Viena). En 1981, Jünger recibió el premio Goethe en Frankfurt, máximo galardón literario de la lengua germana. Sus obras, varias de ellas de carácter biográfico, giran sobre el eje de protagonistas en cuyas almas el autor intenta plasmar una cierta soledad y desencantamiento frente al mundo contemporáneo; al tema central, intercala disquisiciones acerca del origen y destino del hombre, filosofía de la historia, naturaleza del Estado y la sociedad. Por sobre esto, sus obras constituyen un llamado de denuncia y advertencia ante el avance incontenible y abrasador del nihilismo como movimiento mundial, a la vez que se convierten en guías para las almas rebeldes ante este proceso avasallador. Pero, ¿qué es el nihilismo? 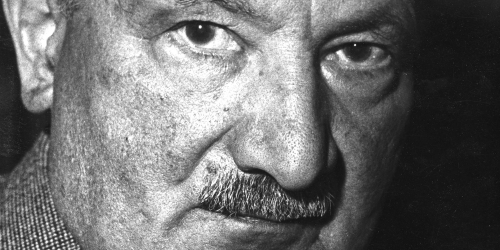 Jünger, en un intercambio epistolar con Martin Heidegger, expuso sus conceptos sobre el nihilismo en el ensayo Sobre la línea (1949). Basándose en La voluntad de poder de F. Nietzsche, lo define, en primer término, como una fase de un proceso espiritual que lo abarca y al que nada ni nadie pueden sustraerse. En sí mismo, es un proceso determinado por "la devaluación de los valores supremos", en que el contacto con lo Absoluto es imposible: "Dios ha muerto". Nietzsche se caracteriza como el primer nihilista de Europa, pero que ya ha vivido en sí el nihilismo mismo hasta el fin. De esto Jünger recoge un Optimismo dentro del Pesimismo característico de este proceso, en el sentido de que Nietzsche anuncia un contramovimiento futuro que reemplazará a este nihilismo, aun cuando lo presuponga como necesario. También recoge síntomas del nihilismo en el Raskolnikov de Dostoievski, que "actúa en el aislamiento de la persona singular", dándole el nombre de ayuntamiento, proceso que puede resultar horrible en su epílogo, o ser la salvación del individuo luego de su purificación "en los infiernos", regresando a su comunidad con el reconocimiento de la culpa. Entre las dos concepciones, Jünger rescata un parentesco, el hecho de que progresan en tres fases análogas: de la duda al pesimismo, de ahí a acciones en el espacio sin dioses ni valores y después a nuevos cometidos. Esto permite concluir que tanto Nietzsche como Dostoievski ven una y la misma realidad, sí bien desde puntos muy alejados. Jünger se encarga de limpiar y desmitificar el concepto de nihilismo, debido a todas las definiciones confusas y contradictorias que intelectuales posteriores a Nietzsche desarrollaron en sus trabajos, problema para él lógico debido a la "imposibilidad del espíritu de representar la Nada". Como problema principal, distingue el nihilismo de los ámbitos de lo caótico, lo enfermo y lo malo, fenómenos que aparecen con él y le han dado a la palabra un sentido polémico. El nihilismo depende del orden para seguir activo a gran escala, por lo que el desorden, el caos serían, como máximo, su peor consecuencia. A la vez, un nihilista activo goza de buena salud para responder a la altura del esfuerzo y voluntad que se exige a sí mismo y los demás. Para Nietzsche, el nihilismo es un estado normal y sólo patológico, por lo que comprende lo sano y lo enfermo a su particular modo. Y en cuanto a lo malo, el nihilista no es un criminal en el sentido tradicional, pues para ello tendría que existir todavía un orden válido. El nihilismo, señala Jünger, se caracteriza por ser un estado de desvanecimiento, en que prima la reducción y el ser reducido, acciones propias del movimiento hacia el punto cero. Si se observa el lado más negativo de la reducción, aparece como característica tal vez más importante la remisión del número a la cifra o también del símbolo a las relaciones descarnadas; la confusión del valor por el precio y la vulgarización del tabú. También es característico del pensamiento nihilista la inclinación a referir el mundo con sus tendencias plurales y complicadas a un denominador; la volatización de las formas de veneración y el asombro como fuente de ciencia y un "vértigo ante el abismo cósmico" con el cual expresa ese miedo especial a la Nada. También es inherente al nihilismo la creciente inclinación a la especialización, que llega a niveles tan altos que "la persona singular sólo difunde una idea ramificada, sólo mueve un dedo en la cadena de montaje", y el aumento de circulación de un "número inabarcable de religiones sustitutorias", tanto en las ciencias, en las concepciones religiosas y hasta en los partidos políticos, producto de los ataques en las regiones ya vaciadas. Según lo expresado en Sobre la línea, es la disputa con Leviatán -ente que representa las fuerzas y procesos de la época, en cuanto se impone como tirano exterior e interior-, es la más amplia y general en este mundo. ¿Cuáles son los dos miedos del hombre cuando el nihilismo culmina? "El espanto al vacío interior, obligando a manifestarse hacia fuera a cualquier precio, por medio del despliegue de poder, dominio espacial y velocidad acelerada. El otro opera de afuera hacia adentro como ataque del poderoso mundo a la vez demoníaco y automatizado. En ese juego doble consiste la invencibilidad del Leviatán en nuestra época. Es ilusorio; en eso reside su poder". La obra de Jünger trastoca el tema de la resistencia; se plantea la pregunta sobre cómo debe comportarse y sostenerse el hombre ante la aniquilación frente a la resaca nihilista. "En la medida en que el nihilismo se hace normal, se hacen más temibles los símbolos del vacío que los del poder. Pero la libertad no habita en el vacío, mora en lo no ordenado y no separado, en aquellos ámbitos que se cuentan entre los organizables, pero no para la organización". Jünger llama a estos lugares "la tierra salvaje", lugar en el cual el hombre no sólo debe esperar luchar, sino también vencer. Son estos lugares a los cuales el Leviatán no tiene acceso, y lo ronda con rabia. Es de modo inmediato la muerte. Aquí dormita el máximo peligro: los hombres pierden el miedo. El segundo poder fundamental es Eros; "allí donde dos personas se aman, se sustraen al ámbito del Leviatán, crean un espacio no controlado por él". El Eros también vive en la amistad, que frente a las acciones tiránicas experimenta sus últimas pruebas. Los pensamientos y sentimientos quedan encerrados en lo más íntimo al armarse el individuo una fortificación que no permite escapar nada al exterior; "En tales situaciones la charla con el amigo de confianza no sólo puede consolar infinitamente sino también devolver y confirmar el mundo en sus libres y justas medidas". La necesidad entre sí de hombres testigos de que la libertad todavía no ha desaparecido harán crecer las fuerzas de la resistencia. Es por lo que el tirano busca disolver todo lo humano, tanto en lo general y público, para mantener lo extraordinario e incalculable, lejos. Este proceso de devaluación de los valores supremos ha alcanzado, de algún modo, caracteres de "perfección" en la actualidad. Esta "perfección" del nihilismo hay que entenderla en la acepción de Heidegger, compartida por Jünger, como aquella situación en que este movimiento "ha apresado todas las consistencias y se encuentra presente en todas partes, cuando nada puede suponerse como excepción en la medida en que se ha convertido en el estado normal." El agente inmediato de este fenómeno radica en el desencuentro del hombre consigo mismo y con su potencia divina. La obra de Jünger, en este sentido, da cuenta del afán por radicar el fundamento del hombre. Uno de los síntomas de nuestra época es el temor. Aquel temor que hace afirmar al autor que toda mirada no es más que un acto de agresión y que hace radicar la igualdad en la posibilidad que tienen los hombres de matarse los unos a los otros. A lo anterior, hay que agregar la inclinación a la violencia que desde el nacimiento todos traemos, según lo señalado en su novela "Eumeswil" (1977). . Por eso el mundo se torna en imperfecto y hostil. Su historia no es sino la de un cadáver acechado una y otra vez por enjambres de buitres. Esta visión lúgubre de la realidad, en la que se encuentra una reminiscencia schopenhaueriana, fue sin duda alimentada por la experiencia personal del autor, testigo del horror de dos guerras implacables que no hicieron más que coronar e instaurar en el mundo el culto a la destrucción, al fanatismo y la masificación del hombre. El avance de la técnica, a pesar de los beneficios que conlleva, a juicio de Jünger tiene la contrapartida de limitar la facultad de decisión de los hombres en la medida en que a favor de los alivios técnicos van renunciando a su capacidad de autodeterminación conduciendo, luego, a un automatismo generalizado que puede llevar a la aniquilación. La pregunta que surge entonces es cómo el hombre puede superarlo, a través de que medios puede salvarse. La respuesta de Jünger, en boca de uno de sus personajes principales, el anarca Venator: la salvación está en uno mismo. El anarca, que nada tiene que ver con el anarquista, expulsa de sí a la sociedad, ya que tanto de ésta como del Estado poco cabe esperar en la búsqueda de sí mismo. El no se apoya en nadie fuera de su propio ser; su propósito es convertirse en soberano de su propia persona, porque la libertad es, en el fondo, propiedad sobre uno mismo. Aparecen en este momento dos afirmaciones que pueden aparecer como contradictorias: el hombre inclinado a la violencia desde su nacimiento, y el hombre que debe penetrar en un conocimiento interior con el fin de descubrir su forma divina. Jünger afirma que la riqueza del hombre es infinitamente mayor de lo que se piensa. ¿Cómo conciliar esto con el carácter perverso que le atribuye al mismo? Al responder esto, el escritor apela a una instancia superior a la que denomina Uno, Divinidad, lo Eterno, según lo que se colige sobre todo en su obra posterior a 1950. La relación entre el hombre y lo Absoluto, expuesta por el maestro alemán, se entiende del siguiente modo: el ser, forma o alma de cada uno de nosotros ha estado, desde siempre, es decir, antes de nacer, en el seno de la Divinidad, y, después de la muerte, volverá a estar con ella. Antes de nacer, es tal el grado de indeterminación de esa unidad en lo Uno que el hombre no puede tener conciencia de la misma. Sólo cuando el nacimiento se produce, el hombre se hace consciente de su anterior unidad y busca desesperadamente volver a ella, al sentirse un ser solitario. Es allí cuando debe dirigirse hacia sí mismo, penetrar en su alma que es la eterna manifestación de lo divino. En el conócete a ti mismo, el hombre puede acceder a la forma que le es propia, proceso que para Jünger es un "ver" que se dirige hacia el ser, la idea absoluta. Señala en El trabajador que la forma es fuente de dotación de sentido, y la representación de su presencia le otorga al hombre una nueva y especial voluntad de poder, cuyo propósito radica en el apoderamiento de sí mismo, en lo absoluto de su esencia, ya que el objeto del poder estriba en el ser-dueño... En consecuencia, en ese descubrimiento de ser atemporal e inalterable que le confiere sentido, el hombre puede hacerse propietario de éste y convertirse en un sujeto libre. En caso contrario, quien no posea un conocimiento de sí mismo es incapaz de tener dominio sobre su ser no pudiendo, por tanto, sembrar orden y paz a su alrededor. En conclusión, esta inclinación a la violencia que surge con el nacimiento del hombre, en otras palabras, con su separación de lo Uno en la identidad primordial y primigenia dando lugar a la negación de la Divinidad, puede ser dominada y contrarrestada en la medida que el hombre se convierta en dueño de sí mismo, para lo cual es fundamental el conocimiento de la forma que nos otorga sentido. La sustancia histórica, señala Jünger, radica en el encuentro del hombre consigo mismo. Ese encuentro con el ser supratemporal que le dota de sentido lo simboliza con el bosque. En su obra El tratado del rebelde afirma: "La mayor vigencia del bosque es el encuentro con el propio yo, con la médula indestructible, con la esencia de que se nutre el fenómeno temporal e individual". Es, entonces, el lugar donde se produce la afirmación de la Divinidad, al adquirir el sujeto la conciencia misma como partícipe de la identidad con lo Eterno. El Verbo, entendido como "la materia del espíritu", es el más sublime de los instrumentos de poder, y reposa entre las palabras y les da vida. Su lugar es el bosque. "Toda toma de posesión de una tierra, en lo concreto y en lo abstracto, toda construcción y toda ruta, todos los encuentros y tratados tienen por punto de partida revelaciones, deliberaciones, confirmaciones juradas en el Verbo y en el lenguaje", enuncia en El tratado del rebelde. El lenguaje es, en definitiva, un medio de dominación de la realidad, puesto que a través de él aprehendemos sus formas últimas, en la medida en que es expresión de la idea absoluta. En una época tan abrumadoramente nihilista como la contemporánea, el propio autor describe como el lenguaje va siendo lentamente desplazado por las cifras. En la obra de Jünger, el hombre que no acepta el "espíritu del tiempo" y se "retira hacia sí mismo" en busca de su libertad, es un rebelde. A partir de un ensayo de 1951, Jünger había propuesto una figura de rebelde a las leyes de la sociedad instalada, el Waldgänger que, según una antigua tradición islandesa, se escapa a los bosques en busca de sí mismo y su libertad. Posteriormente, el autor desarrolla la figura del rebelde en la novela Eumeswil, publicada en 1977, definiendo la postura del anarca, tipo que encarnaría el distanciamiento frente a los peores aspectos del nihilismo actual; o como el único camino digno a seguir para los hombres de verdad libres. Como en Heliópolis, en Eumeswil, Jünger nos presenta un mundo aún por llegar: se vive allí el estado consecutivo a los Grandes Incendios -una guerra mundial, evidentemente- y a la constitución y posterior disolución del Estado Mundial. Un mundo simplificado, en que aparecen formas semejantes a las del pasado: los principados de los Khanes, las ciudades-estados. El autor marca el carácter postrero del ambiente que da a su novela, comparándola a la época helenística que sigue a Alejandro Magno, una ciudad como Alejandría, ciudad sin raíces ni tradición. De modo análogo, en la sociedad de Eumeswil las distinciones de rangos, de razas o clases han desaparecido; quedan sólo individuos, distinguidos entre ellos por los grados de participación en el poder. Se posee aún la técnica, pero como algo más bien heredado de los siglos creadores en este dominio. La técnica permite, por ejemplo -siendo esto otro rasgo alejandrino-, un gran acopio de datos sobre el pasado, pero este pasado ya no se comprende. Se enfrentan en Eumeswil dos poderes: el militar y el popular, demagógico, de los tribunos. Del elemento militar ha salido el Cóndor, el típico tirano que restablece el orden y, con él, las posibilidades de la vida normal, cotidiana, de los habitantes. Pero se trata de un puro poder personal, informe, que ya no puede restaurar la forma política desvanecida. Por lo demás tampoco en Eumeswil se tiene la ilusión de la gran política; no se trata siquiera de una potencia, viviendo como vive bajo la discreta protección del Khan Amarillo. En suma, son las condiciones de la civilización spengleriana, las de toda época final en el decurso de las culturas. "Masas sin historia", "Estados de fellahs", como señala Jünger. El protagonista y narrador de la novela es Martín Venator, "Manuelo" en el servicio nocturno de la alcazaba del Cóndor. Es un historiador de oficio: aplica al pasado sus cualidades de observador, y de allí las reflexiones sobre el tiempo presente. Su modelo es, sin duda, Tácito: senador bajo los Césares, celoso del margen de libertad que aún puede conservar, escéptico frente a los hombres y frente al régimen imperial. Venator también es camarero, barman en la alcazaba: como en las cortes de otra época, el servicio personal y doméstico al señor resulta ennoblecido. El camarero suele ser asimismo un observador, y en este terreno se encuentra con el historiador. El historiador se retira voluntariamente al pasado, donde se encuentra en realidad "en su casa", y en este modo se aparta de la política. La derrota, el exilio, han sido a veces la condición de desarrollo de una vocación historiográfica -Tucídides en la Antigüedad, por ejemplo-, pero en otras ocasiones el historiador ha tomado parte activa de las luchas de su tiempo. En la novela, tanto el padre como el hermano del protagonista también son historiadores, pero, a diferencia de éste, están ideológicamente "comprometidos": son buenos republicanos, liberales doctrinarios, cautos enemigos del Cóndor más ajenos al mundo de los hechos que éste representa. Ellos deploran que "Manuelo" haya descendido a tan humilde servicio al tirano. Servicio fielmente prestado, pero en ningún caso incondicional. Entre los enemigos del Cóndor están los anarquistas: conspiran, ejecutan atentados... nada que la policía del tirano no logre controlar. De ellos se diferencia claramente Venator: no es un anarquista, es un anarca. La mejor definición para la posición del anarca pasa por su relación y distinción de las otras figuras, las otras individualidades que se alzan, cada una a su modo, frente al Estado y la sociedad: el anarquista, el partisano, el criminal, el solipsista; o también, del monarca absoluto, como Tiberio o Nerón. Pues en el hombre y en la historia hay un fondo irrenunciable de anarquía, que puede aflorar o no a la superficie, y en mayor o menor grado, según los casos. En la historia, es el elemento dinámico que evita el estancamiento, que disuelve las formas petrificadas. En el hombre, es esa libertad interior fundamental. De tal modo que el guerrero, que se da su propia ley, es anárquico, mientras que el soldado no. En aparente paradoja, el anarquista no es anárquico, aunque algo tiene, sin duda. Es un ser social que necesita de los demás; por lo menos de sus compañeros. Es un idealista que, al fin y al cabo, resulta determinado por el poder. "Se dirige contra la persona del monarca, pero asegura la sucesión". El anarca, por su parte, es la "contrapartida positiva" del anarquista. En propias palabras de Jünger: "El anarquista, contrariamente al terrorista, es un hombre que en lo esencial tiene intenciones. Como los revolucionarios rusos de la época zarista, quiere dinamitar a los monarcas. Pero la mayoría de las veces el golpe se vuelve contra él en vez de servirlo, de modo que acaba a menudo bajo el hacha del verdugo o se suicida. Ocurre incluso, lo cual es claramente más desagradable, que el terrorista que ha salido con bien siga viviendo en sus recuerdos...El anarca no tiene tales intenciones, está mucho más afirmado en sí mismo. El estado de anarca es de hecho el estado natural que cada hombre lleva en sí. Encarna más bien el punto de vista de Stirner, el autor de El único y su propiedad ; es decir, que él es lo único. Stirner dice: "Nada prevalece sobre mí". El anarca es, de hecho, el hombre natural". No es antagonista del monarca, sino más bien su polo opuesto. Tiene conciencia de su radical igualdad con el monarca; puede matarlo, y puede también dejarlo con vida. No busca dominar a muchos, sino sólo dominarse a sí mismo. A diferencia del solipsista, cuenta con la realidad exterior. No busca cambiar la ley, como el anarquista o el partisano; no se mueve, como éstos en el terreno de las opciones políticas o sociales. Tampoco busca trasgredir la ley, como el criminal; se limita a no reconocerla. El anarca, pues, no es hostil al poder, ni a la autoridad, ni a la ley; entiende las normas como leyes naturales. No adhiere el anarca a las ideas, sino a los hechos; es en esencia pragmático. Está convencido de la inutilidad de todo esfuerzo ("tal vez esta actitud tenga algo que ver con la sobresaturación de una época tardía"). Neutral frente al Estado y a la sociedad, tiene en sí mismo su propio centro. Los regímenes políticos le son indiferentes; ha visto las banderas, ya izadas, ya arriadas. Jünger afirma, además, que aquellas banderas son sólo diferentes en lo externo, porque sirven a unos mismos principios, los mismos que harán que " toda actitud que se aparte del sistema, sea maldita desde el punto de vista racional y ético, y luego proscrita por el derecho y la coacción." No obstante, el anarca puede cumplir bien el papel que le ha tocado en suerte. Venator no piensa desertar del servicio del Cóndor, sino, por el contrario, seguir lealmente hasta el final. Pero porque él quiere; él decidirá cuando llegue el momento. En definitiva, el anarca hace su propio juego y, junto a la máxima de Delfos, "conócete a ti mismo", elige esta otra: "hazte feliz a ti mismo". La figura del anarca resplandece verdaderamente, como la del hombre libre frente al Estado burocrático y a la sociedad conformista de la actualidad. Incluso aparece en algunas ocasiones en forma más bien mezquina, a la manera del egoísmo de Stirner: "quien, en medio de los cambios políticos, permanece fiel a sus juramentos, es un imbécil, un mozo de cuerda apto para desempeñar trabajos que no son asunto suyo". "(El anarca) sólo retrocede ante el juramento, el sacrificio, la entrega última". "Sólo cabe una norma de conducta" -dice Attila, médico del Cóndor, anarca a su modo- "la del camaleón..."
La cuestión es si el anarca se constituye en una figura ejemplar para cierto tipo de hombres que no se reconozcan en las producciones sociales últimas. Pues si el anarca es la "actitud natural" -"el niño que hace lo que quiere"-, entonces nos hallamos ante simples situaciones de hecho que no tienen ningún valor normativo ni ejemplar. Desde siempre los hombres han querido huir del dolor y buscar lo agradable; por otro lado, apartarse de una sociedad decadente y que llega a ser asfixiante es una cosa sana. Venator invoca a Epicuro como modelo; debería referirse más bien a Aristipo de Cirene, discípulo de Sócrates y fundador de la escuela hedonista, quien proponía una vida radicalmente apolítica, "ni gobernante ni esclavo", con la libertad y el placer como únicos criterios. Jünger reconoce, y muy de buena gana, que el tipo de anarca se encuentra, socialmente hablando, en el pequeño burgués, piedra de tope de más de una corriente de pensamiento: es ese artesano, ese tendero independiente y arisco frente al Estado. La figura del anarca es más familiar al mundo anglosajón, especialmente al norteamericano, con su sentido ferozmente individualista y antiestatal: del cowboy solitario o del outlaw al "objetor de conciencia". Están en la mejor línea del anarca y el rebelde contra la masificación burocrática. Se sabe, por supuesto, en qué condiciones sociales han florecido estos modelos. Pero las sociedades "posmodernas" actuales se distinguen por el más vulgar hedonismo; su tipo no es el del "superhombre", sino el del "último hombre" nietzscheano, el que cree haber descubierto la felicidad. El tipo del "idealista" y del "militante" pertenecen a etapas ya superadas; hoy, es el individuo de las sociedades "despolitizadas", soft, que toma lo que puede y rehusa todo esfuerzo. ¿Cuál es la diferencia de este tipo de hombre con el anarca? La respuesta radica en que el segundo está libre de todas las ataduras sentimentales, ideológicas y moralistas que aún caracterizan al primero. En verdad, la figura de Venator está históricamente condicionada: aparece en una de esas épocas postreras en la cuales nada se puede ya esperar. Lo que hay que esclarecer es si efectivamente nuestra propia época es una de ellas. Pero lo dicho sobre el anarca tiene un alcance mucho más universal: en cualquier tiempo y lugar se puede ser anarca, pues "en todas partes reina el símbolo de la libertad". La senda del anarca termina en la retirada. Venator ha estado organizando una "emboscadura" temporal -según lo que el mismo Jünger recomendaba en Der Waldgang (1951)-, para el caso de caída del Cóndor. Al final, seguirá a éste, con toda su comitiva, en una expedición de caza a las selvas misteriosas más allá de Eumeswil: una emboscadura radical, o la muerte, no se sabe el desenlace. Del mismo modo, en Heliópolis, el comandante Lucius de Geer y sus compañeros se retiran en un cohete, con destino desconocido. Pero eso sí, después de haber luchado sus batallas, al igual que los defensores de la Marina en Sobre los Acantilados de Mármol no buscan refugio sino después de dura lucha con las fuerzas del Gran Guardabosques. Pero ¿de qué se trata esta "emboscadura"? El anarca hace lo que Julius Evola, el gran pensador italiano, recomienda en su libro Cabalgar el tigre: "La regla a seguir puede consistir, entonces, en dejar libre curso a las fuerzas y procesos de la época, permaneciendo firmes y dispuestos a intervenir cuando el tigre, que no puede abalanzarse sobre quien lo cabalga, esté fatigado de correr". Lo que Evola llama "tigre", Jünger lo denomina "Leviatán" o "Titanic". El anarca se retira hacia sí mismo porque debe esperar su hora; el mundo debe ser cumplido totalmente, la desacralización, el nihilismo y la entropía deberán ser totales: lo que Vintila Horia llama "universalización del desastre". Jünger enfatiza que emboscarse no significa abandonar el "Titanic", puesto que eso sería tirarse al mar y perecer en medio de la navegación. Además: "Bosque hay en todas partes. Hay bosque en los despoblados y hay bosque en las ciudades; en éstas, el emboscado vive escondido o lleva puesta la máscara de una profesión. Hay bosque en el desierto y hay bosque en las espesuras. Hay bosque en la patria lo mismo que lo hay en cualquier otro sitio donde resulte posible oponer resistencia... Bosque es el nombre que hemos dado al lugar de la libertad... La nave significa el ser temporal; el bosque, el ser sobretemporal...". 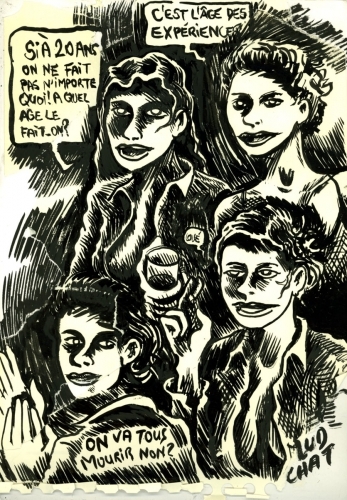 En la figura del rebelde, por tanto, es posible distinguir dos denominaciones: emboscado y anarca. El primero presentaría las coordenadas espirituales, mientras el segundo da luces sobre su plasmación en el "aquí y ahora". Jünger lo define más claramente: "Llamamos emboscado a quien, privado de patria por el gran proceso y transformado por él en un individuo aislado, está decidido a ofrecer resistencia y se propone llevar adelante la lucha, una lucha que acaso carezca de perspectiva. Un emboscado es, pues, quien posee una relación originaria con la libertad... El emboscado no permite que ningún poder, por muy superior que sea, le prescriba la ley, ni por la propaganda, ni por la violencia". El nihilismo y la rebeldía... La figura del anarca es la de quien ha sobrevivido al "fin de la historia" ("carencia de proyecto: malestar o sueño"). El último hombre no puede expulsar al anarca que convive junto a él. Su poder radica en su impecable soledad y en el desinterés de su acción. Su sí y su no son fatales para el mundo que habita. El anarca se presenta como la victoria y superación del nihilismo. Las utopías le son ajenas, pero no el profundo significado que se esconde tras ellas. "El anarca no se guía por las ideas, sino por los hechos. Lucha en solitario, como hombre libre, ajeno a la idea de sacrificarse en pro de un régimen que será sustituído por otro igualmente incapaz, o en pro de un poder que domine a otro poder". "En el seno del gris rebaño se esconden lobos, es decir, personas que continúan sabiendo lo que es la libertad. Y esos lobos no son sólo fuertes en sí mismos: también existe el peligro de que contagien sus atributos a la masa, cuando amanezca un mal día, de modo que el rebaño se convierta en horda. Tal es la pesadilla que no deja dormir tranquilos a los que tienen el poder". In the United States, we nationalists take our stand on the question of race, arguing that it denotes meaningful differences between subspecies, that these differences have significant behavioral and social ramification, and that the present threat to white racial survival constitutes the single, most vital issue facing our people. In Europe, by contrast, our counterparts pursue a somewhat different strategy. Against the anti–white forces of multiculturalism, Third World immigration, feminism, and globalization, European nationalists tend to privilege not race per se, but the defense of their cultural/historical identity. This identitarian emphasis might be explained by the absence of First Amendment rights and hence the freedom to treat racial questions forthrightly. But there is, I think, another, more interesting reason for these transatlantic differences: namely, that European nationalists define race not simply as a matter of blood, but also as a spiritual – that is, as a historical and cultural –– phenomenon. Implicit in this view is the assumption that the body is inseparable from the spirit animating it, that biological difference, as a distinct vitality, is another form of spiritual difference, and that the significance of such differences (given that man is a spiritual being, not merely an animal) is best seen in terms of culture and history rather than 19th–century biological science. Race, then, may be the necessary organic substratum to every historically and culturally distinct people, but its biological properties, however primordial, are only the form, not the substance, of its spiritual manifestation. Thus, whilst we Americans search for psychological, sociological, conspiratorial, or political explanations to account for the racially self–destructive behavior of our people, Europeans look to the loss of their culture and tradition –– and the identity they define. These distinctions reflect not just strategic differences between US and continental nationalisms, but also the larger civilizational divide separating America from Europe –– and hence their different historical trajectories. This is especially evident in the fact that Europeans of all political persuasions are presently embarked on an epoch–making project –– a politically united Europe –– that promises them dominance in tomorrow's world. There is, moreover, real debate about how the European project is to be realized, especially in France, where the will to power is most developed. The New Class forces in control of the European Union, as might be expected, favor the liberal, economic, and quantitative principles that are leading white people everywhere to ruin, envisaging Europe as a multiracial civilization based on free markets, unguarded borders, and an ethnocidal humanitarianism. Against them, the various anti–system parties challenging the liberal–democratic order of money imposed on Europe in 1945, along with hundreds of New Right, far Right, revolutionary-nationalist, and revolutionary conservative formations making up the Right's extra-parliamentary wing, marshall an array of persuasive counter–arguments and do so not simply in the language of race. For unlike their New World homologues, these anti-liberals have the millennia–long tradition of Europe's race–culture to buttress their opposition. 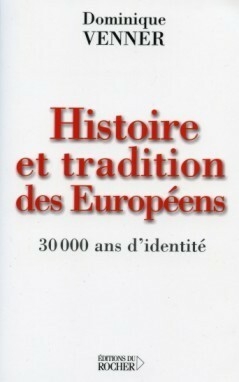 It is as part of this larger debate on Europe that Dominique Venner's Histoire et tradition des européennes: 30 000 ans d'identité (History and Tradition of the Europeans: 30,000 Years of Identity) is to be situated. Few living writers are better qualified than Venner to speak for the white men of the West. For five decades, on paper and on numerous battlefields, he has earned the right to do so. His first arena in service to the European cause was French Algeria, where he served as an elite paratrooper. Later, in the 1960's, after discovering that the cosmopolitan forces of international capital had captured all the seats of power, he fought on another front, playing a leading role in the period's far–Right campaigns. Besides getting to know more than one French prison, he helped launch the metapolitical career of the "European New Right"(or 'New Culture'), which has since become the chief ideological opponent of the Judeo–liberal forces allied with le parti Americain . But more than courage and integrity under fire, Venner is a favorite of the muses, having authored more than forty books and innumerable articles on the most diverse facets of the European experience. In a Histoire et tradition des europeennes, this gifted European turns to his people's distant past to answer the great questions posed by their uncertain future. Writing at the advent of the new millennium, Venner notes that for the first time in history, Europeans no longer dominate the land of their fathers, having lost control of their borders, their institutions, and the very means of reproducing themselves as a people. He characterizes the present period as one of cultural chaos and racial masochism. No fluke of fate, this dark age culminates a long period of spiritual upheaval, in which Europeans have been severed from their roots and forced to find themselves in all the wrong places, including the negation of themselves. The loss of meaning and purpose fostered by this upheaval in which traditional forms of identity have given way to false ones, Venner calls 'nihilism'. For Nietzsche, the most prominent popularizer of the term, nihilism is a productof God's death, which undermines Christian belief and leaves the world without a sense of purpose. Venner sees it in somewhat broader terms, designating not simply the loss of religious belief, but the loss of the larger cultural heritage as nihilism's principal source. In this sense, nihilism subverts those transcendent references that formerly oriented the Occident, leaving modern man with a disenchanted world of materialist satisfactions and scientific certainties, but indifferent to 'all the higher values of life and personality'. Given its focus on the physical basis of existence, nihilism fosters a condition devoid of sense, form, or order and hence one deprived of those standards that might aid us in negotiating the great trials of our age. An especially dire consequence of this loss of transcendence is a civilizational crisis in which the survival of our race becomes a matter of general indifference. Venner traces nihilism's roots to the advent of Spengler's Faustian civilization, which began innocently enough when Saint Thomas introduced Aristotelian logic to Christian theology, privileging thereby the forces of rationality. Because Christianity held that there was a single truth and a single spiritual authority (the Church), reason in this Thomist makeover was made the principal means of accessing the divine. Once the Christian God became dependent on reason, He risked, however, eventually being reputed by it. This came with Descartes, the founder of modern philosophy, who turned reason into a purely instrumental and calculative faculty. In the form of science, technology, and industry, Cartesianism reduced everything to a mechanical causality, associating reason with the progressive mastery of nature, a belief in progress (soon to supplant the belief in Providence), and, ultimately, the rule of money. Venner claims a desiccated mathematicized reason, no matter how technologically potent, is no substitute for transcendent references, for a disenchanted world governed by its principles is a world devoid of meaning and purpose. The on–going mechanization of human existence and the quantitative, economic priorities it privileges are, indeed, premised on the eradication of those transgenerational structures of history, tradition, and culture which inform all traditional belief systems. And once such structures give way to rationalism's anti–organic propositions, so too does the significance of those qualities distinguishing Europeans from other members of the human family. In this spirit, the world born of nihilism takes as its ideal an abstract, uniform, and coffee colored humanity indifferent to pre–rational life forms based on Europe's organic heritage. 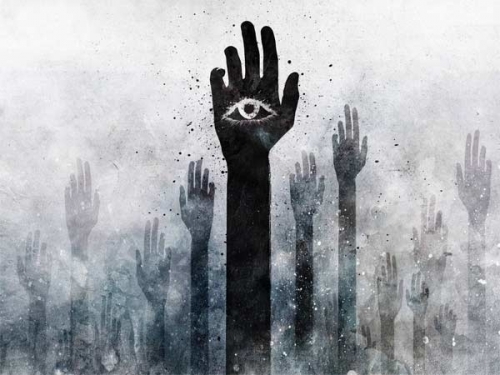 The greater the barrenness of the encroaching nihilism, the greater, Venner contends, is the need to reconnect with the primordial sources of European being. This, however, is now possible only through research and reflection, for these sources have been largely extirpated from European life. In uncovering the principal tropes of Europe's history and tradition, Venner does not, then, propose a literal return to origins (which, in any case, is impossible), but rather a hermeneutical encounter that seeks out something of their creative impetus. From this perspective, Homer's Iliad,written 30 centuries ago, still has the capacity to empower us because it expresses something primordial in our racial soul, connecting us with who we were at the dawn of our history and with what we might be in the adventures that lie ahead. Whenever Europeans reconnect with these primordial sources, they take, thus, a step toward realizing an identity –– and a destiny –– that is distinctly their own. When Venner speaks of tradition he refers not to the customary rites and practices which anthropologists study; nor does he accept the utilitarian approach of Edmund Burke and Russell Kirk, who treat it as the accumulated wisdom of former ages; nor, finally, does he view it as that transhistorical body of principles undergirding the world's religions, as René Guenon and Julius Evola do. Tradition in his view is that which is immutable and perpetually reborn in a people's experience of its history, for it is rooted in a people's primordial substratum. It ought not, then, to be confused with the traditions or customs bequeathed by the past, but, instead, seen as the enduring essence of a particular historical community, constituting, as such, the infrastructural basis –– the cultural scaffolding –– of its spirit and vitality. From this perspective, Europe was born not with the signing of certain free–trade agreements in the late 20th century, but from millennia of tradition. Nowhere is this clearer than in the themes linking the Iliad,the medieval epics, the Norse sagas, even the national poem of the Armenian Maherr, where we encounter the same warrior ethic that makes courage the ultimate test of a man's character, the same aristocratic notions of service and loyalty, the same chivalric codes whose standards are informed by beauty, justice, and harmony, the same defiance in face of unjust authority and ignoble sentiments, but, above all, the same metaphysical rebellion against an unexamined existence. From these Aryan themes, Venner claims the organic legacy that is Europe takes form. The word itself –– 'Europe' –– is nearly three millennia old, coined by the Greeks to distinguish themselves from the peoples of Africa and Asia. Not coincidentally, Hellenic Europe was forged –– mythically in Homer, historically in the Persian wars –– in opposition to Asia. The roots of Europe's tradition reach back, though, beyond the Greeks, beyond even the Indo–Europeans, who shaped the linguistic and cultural structures of its root peoples. It begins 30,000 years, at the dawn of Cro–Magnon man, whose cultural imagery lingers in the extraordinary cave paintings of Chauvet (France) and Kapova(Ukraine), in that region stretching from the Pyrannies to the Urals, where, for nearly 20,000 years, until the last Ice Age arrived, the germ of European civilization took form, as race and culture fused in a uniquely brilliant synergy. Every subsequent era has passed on, reframed, and added to this traditional heritage –– every era, that is, except the present nihilist one, in which liberals and aliens dominate. Darwin may have been right in explaining the evolution of species, but, Venner insists, history operates irrespective of zoological or scientific laws. As such, history is less a rectilinear progression than a spiral, without beginning or end, with cycles of decay and rebirth intricate to its endless unfoldings. No single determinism or causality can thus conceivably grasp the complexity of its varied movements. Nor can any overarching cause explain them. Given, therefore, that a multitude of determinisms are at work in history, each having an open–ended effect, whose course and significance are decided by the historical actor, human freedom regains its rights. And as it does, history can no longer be seen as having an in–built teleology, as 'scientific' or ideological history writing, with its reductionist determinisms, presumes. This means there is nothing inevitable about the historical process –– for, at any moment, it can take an entirely newÜ Üdirection. What would the present be like, Venner asks, if Hitler had not survived the Battle of Ypres or if Lee had triumphed at Gettysburg? None of the great events of the past, in fact, respond to necessity, which is always an aposteriori invention. In conditioning a people's growth, the existing heritage constitutes but one determinant among many. According to Venner, the existing heritage enters into endless combination with the forces of fortune(whose classic symbol is a woman precariously balanced on a spinning wheel) and virté (a Roman quality expressive of individual will, audacity, and energy) to produce a specific historical outcome. In this conjuncture of determinism and fortune, the virté of the historical actor becomes potentially decisive. Lenin, Hitler, Mussolini –– like Alexander, Ceasar, and Arminus before them –– or Frederick II, Peter, Napoleon –– were all men whose virté was of world historical magnitude. Without their interventions, in an arena organized by the heritage of the past and subject to the forces of chance, history might have taken a different course. This suggests that history is perpetually open. 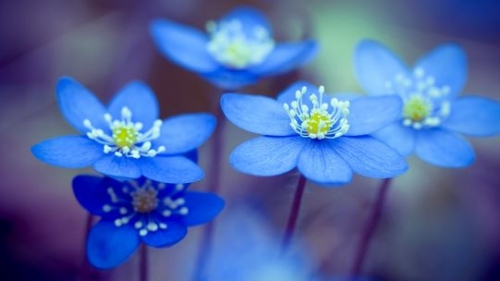 And open in the sense that its unfolding is continually affected by human consciousness. History's significance, therefore, is not to be found in the anonymous currents shaping its entropic movements, but in the meanings men impose upon them. For in face of the alleged determinisms justifying the existing order, it is the courage –– the virté –– of the historical actor that bends the historical" process in ways significant to who we are as a people. In Venner's view, the European of history is best seen as a warrior bearing a sword, symbol of his will. The virté of this warrior is affirmed every time he imposes his cosmos(order) upon a world whose only order is that which he himself gives it. History, thus, is no immobilizing determinism, but a theater of the will, upon whose stage the great men of our people exert themselves. Both as intellectual discipline and individual act of will, it seems hardly coincidental that history is Europe's preeminent art form. Like history, life has no beginning or end, being is a process of struggle, an overcoming of obstacles, a combat, in which the actor's will is pivotal. While it inexorably ends in death and destruction, from its challenges all our greatness flows. The Hellenes enter history by refusing to be slaves. Bearing their sword against an Asiatic foe, they won the right to be who they were. If a single theme animates Venner's treatment of Europe's history and tradition, it is that Europeans surmounted the endless challenges to their existence only because they faced them with sword in hand –– forthrightly, with the knowledge that this was just not part of the human condition, but the way to prove that they were worthy of their fate. Thus, as classical Greece rose in struggle against the Persians, the Romans against the Carthagians, medieval and early modern Europe against Arab, then Turkish Islam, we too today have to stand on our borders, with sword in hand, to earn the right to be ourselves. Europeans, Venner concludes, must look to their history and tradition ––especially to the honor, heroism, and heritage Homer immortalized –– to rediscover themselves. Otherwise, all that seeks the suppression of their spirit and the extinction of their blood will sweep them aside. The question thus looms: in the ethnocidal clash between the reigning nihilism and the white men of the West, who will prevail? From Venner's extraordinary book, in which the historian turns from the drama of the event to the scene of our longue duré)À we are led to believe that this question will be answered in our favor only if we remain true to who we are, to what our forefathers have made of us, and to what Francis Parker Yockey, in the bleak years following the Second World War, called the primacy of the spirit. Michael O'Meara, Ph.D., studied social thought at the Ecole des Hautes Etudes and modern European history at the University of California. 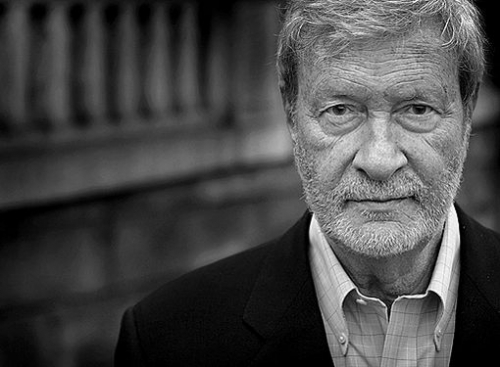 He is the author of New Culture, New Right: Anti–Liberalism in Postmodern Europe. On sait que Benjamin Constant distinguait dans un célèbre discours de 1819 la liberté des Anciens et la liberté des Modernes. La première réside dans la participation aux affaires publiques, la seconde dans la garantie des jouissances privées. Dans la première, il y a selon Constant « asservissement de l’existence individuelle au corps collectif ». C’est pourquoi il défend la seconde conception de la liberté, celle des Modernes. En un sens, la conception de Benjamin Constant a fondé un certain libéralisme. Il est toutefois patent qu’une autre grande figure libérale, ou plutôt peut-être devrait-on dire conservatrice, a souligné que la liberté des Modernes ne suffisait pas. 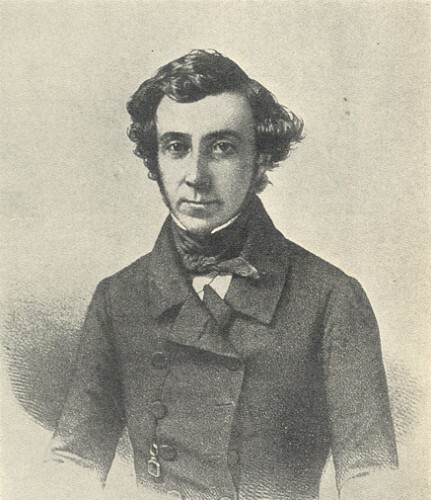 Cette figure c’est Tocqueville. Il est constant que pour Tocqueville la liberté des Modernes même corrigée par la morale chrétienne ne suffit pas. « Les devoirs des hommes entre eux en tant que citoyens, les obligations des citoyens envers la patrie me paraissent mal définis et assez négligés dans la morale du christianisme. C’est là, ce me semble, le coté faible de cette admirable morale de même que le seul coté vraiment fort de la morale antique. » note Tocqueville (Lettre à Arthur de Gobineau, 5 septembre 1848). Si la morale civique tend à disparaître c’est encore pour une raison que Tocqueville a parfaitement analysée. C’est du fait de la montée de l’individualisme. L’égalité de principe des hommes « abolit le prestige des noms pour lui substituer la force du nombre » note Finkielkraut. En conséquence se développe l’esprit moutonnier et le conformisme de masse dont nous voyons aujourd’hui les effets poussés à l’extrême. Plus les hommes sont égaux en principe plus se manifeste l’envie, la recherche du bien-être, l’hédonisme. Le régime des désirs tend à être la loi de l’économie. Ce « chacun pour soi » et ce désinvestissement de l’engagement civique et politique donne au despotisme toutes les chances de s’imposer. Il aggrave alors l’individualisme. « Il retire aux citoyens toute passion commune, tout besoin mutuel, toute nécessité de s’entendre, toute occasion d’agir ensemble ; il les mure, pour ainsi dire, dans la vie privée […]. La liberté seule, au contraire, peut combattre efficacement dans ces sortes de sociétés les vices qui leur sont naturels et les retenir sur la pente où elles glissent. Il n’y a qu’elle en effet qui puisse retirer les citoyens de l’isolement dans lequel l’indépendance même de leur condition les fait vivre, pour les contraindre à se rapprocher les uns des autres, qui les réchauffe et les réunisse chaque jour par la nécessité de s’entendre, de se persuader, et de complaire mutuellement dans la pratique d’affaires communes. Seule elle est capable de les arracher au culte de l’argent et aux petits tracas journaliers de leurs affaires particulières pour leur faire apercevoir et sentir à tout moment la patrie au-dessus et à côté d’eux ; seule elle substitue de temps à autre à l’amour du bien-être des passions plus énergiques et plus hautes, fournit à l’ambition des objets plus grands que l’acquisition des richesses, et crée la lumière qui permet de voir et de juger les vices et les vertus des hommes. » (L’Ancien régime et la Révolution). Si chacun ne se saisit pas de la liberté, une liberté de faire, une liberté des Anciens, et non une simple liberté de ne pas être contrôlé, encadré par l’État, la liberté des Modernes, alors le despotisme menace d’autant plus fortement que la société est justement démocratique. Tocqueville remarque : « Je pense que l’espèce d’oppression dont les peuples démocratiques sont menacés ne ressemblera à rien de ce qui l’a précédée dans le monde ; nos contemporains ne sauraient en trouver l’image dans leurs souvenirs. Je cherche en vain en moi-même une expression qui reproduise exactement l’idée que je m’en forme et la renferme ; les anciens mots de despotisme et de tyrannie ne conviennent point. La chose est nouvelle, il faut donc tâcher de la définir, puisque je ne peux la nommer. Je veux imaginer sous quels traits nouveaux le despotisme pourrait se produire dans le monde : je vois une foule innombrable d’hommes semblables et égaux qui tournent sans repos sur eux-mêmes pour se procurer de petits et vulgaires plaisirs, dont ils emplissent leur âme. Chacun d’eux, retiré à l’écart, est comme étranger à la destinée de tous les autres : ses enfants et ses amis particuliers forment pour lui toute l’espèce humaine ; quant au demeurant de ses concitoyens, il est à côté d’eux et ne les voit pas ; il les touche et ne les sent point ; il n’existe qu’en lui-même et pour lui seul, et, s’il lui reste encore une famille, on peut dire du moins qu’il n’a plus de patrie. Au-dessus d’eux s’élève un pouvoir immense et tutélaire, qui se charge seul d’assurer leur jouissance et de veiller sur leur sort. Il est absolu, détaillé, régulier, prévoyant et doux. Il ressemblerait à la puissance paternelle si, comme elle, il avait pour objet de préparer les hommes à l’âge viril ; mais il ne cherche, au contraire qu’à les fixer irrévocablement dans l’enfance ; il aime que les citoyens se réjouissent, pourvu qu’ils ne songent qu’à se réjouir. Il travaille volontiers à leur bonheur ; mais il veut en être l’unique agent et le seul arbitre ; il pourvoit à leur sécurité, prévoit et assure leurs besoins, facilite leurs plaisirs, conduit leurs principales affaires, dirige leur industrie, règle leurs successions, divise leurs héritages ; que ne peut-il leur ôter entièrement le trouble de penser et la peine de vivre ? » (De la démocratie en Amérique). Tocqueville peut ainsi conclure : « Le despotisme me parait particulièrement à redouter dans les âges démocratiques. » Face au triomphe conjoint de l’individualisme et du despotisme, la société s’atomise, comme avait bien vu Tocqueville. C’est ce que le « Comité invisible » aura bien défini quelque cent cinquante ans après sa mort, dans L’insurrection qui vient (La Fabrique, 2007) : « Le couple est comme le dernier échelon de la grande débâcle sociale. C’est l’oasis au milieu du désert humain. On vient y chercher sous les auspices de l’« intime » tout ce qui a si évidemment déserté les rapports sociaux contemporains : la chaleur, la simplicité, la vérité, une vie sans théâtre ni spectateur. » Avant de préciser que le couple n’échappe pas à la tourmente de la société-machine et marchandise. Notre monde, Tocqueville nous a aidé à le penser. Tocqueville n’est ni libéral – il ne croit pas que l’intérêt général soit la simple somme des intérêts particuliers, ni rousseauiste – il ne croit pas à l’unanimité du peuple qui ne parlerait que d’une seule voix. Tocqueville est bien plutôt un ancêtre de Hannah Arendt et de sa notion d’une démocratie excédant radicalement toute idéologie des droits de l’homme. C’est aussi avec cent cinquante ans d’avance un formidable critique du nihilisme du règne contemporain de la marchandise et de l’équivalence généralisée des biens culturels et des œuvres d’art.